OMRON Electronics have released the latest revision of their popular electronic catalogue, the "eCatalogue". The 2005 edition has been extensively revised to contain over 500 documents, many of which have been updated as improved products. 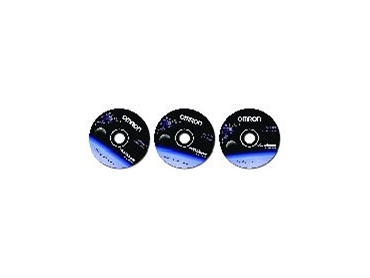 The eCatalogue contains promotional brochures, data sheets and technical manuals for the entire Omron product range, both past and present. The CD will auto-boot when loaded into the CD drive of a Windows-based computer. It then uses a standard web interface for users to navigate the CD very easily. The products have been broken up into twenty-two different groups, according to their function. Searching within a product is as simple as using the find facility with the web browser. All documents are in the popular pdf (portable document format) format, produced by Adobe. Pdf documents require the Acrobat reader software to be installed, but it's freely available from either the eCatalogue itself or the Adobe web site. Once the document is opened, it can be navigated using the facilities provided within Acrobat. All documents are book marked and have matching page numbers. Complete documents can be searched for words or phases, printed out in hard copy or emailed. While many of the eCatalogue's documents can also be found on various web sites, the eCatalogue provides all the very latest versions, in one place and therefore saves time in searching of web sites and downloading. The eCatalogue is available at no charge from an Omron stockist. It is also included in Omron's latest Industrial Automation Product catalogue.